WATERBURY, Conn. (WTNH) – Waterbury Mayor Neil O’Leary says a multi-million dollar gift from the state could be the thing that helps revitalize the city’s South End. “It is amazing what you can do when you have support from the state of Connecticut,” said Mayor O’Leary. 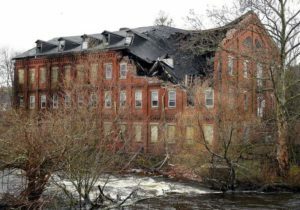 More than $3 million in support from the state is coming to help tear down the old Anamet factory buildings, which, in the city’s manufacturing hey day, used to employ thousands of people. The factory on the intersection of Benedict and Jewelry Streets was built in the 1850s. But, times have changed and the three remaining buildings on the site have been vacant for the last two decades — with trash and broken windows and graffiti defining the property. 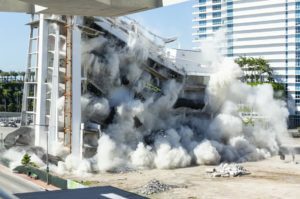 It’s become an eyesore that wasn’t contributing to the city’s tax rolls. Connecticut’s lieutenant governor says it’s time to change that. She believes the investment from Hartford will pay off for Waterbury and the entire state. “We have a pipeline and our community colleges — they’re preparing young people to work in good paying, advanced manufacturing jobs. It’s time to get it back on the tax rolls,” the Lt. Governor said. “It will bring future jobs to our state, which we so desperately need,” the mayor said. Mayor O’Leary sees the 17-acre land near the Naugatuck River as prime real estate for modern-day manufacturing. Waterbury State Representative Geraldo Reyes, Jr. also has high hopes. The abandoned factory complex sits in his district. “A small manufacturer, a medium-sized manufacturer anchored by a Walgreens, a bank, Subway, Starbucks,” he said. The mayor says some companies have inquired about possibly moving into the area, once all of the buildings are torn down except one (that will be refurbished) and all of the land is remediated. That’s a process the mayor says could take a couple of years. His overall vision for the property?